Florida offers an expansive system of community and state colleges offering various animation programs. Bringing student enrollment across the state to nearly 900K in 2011-2012. Many of these offer great Florida animation college programs are designed to train the next generation of virtual world builders and storytellers. 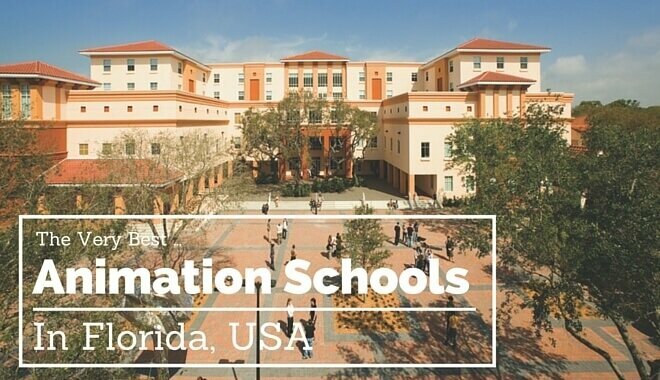 What are the top animation schools in Florida? The International Academy of Design & Technology (Sanford-Brown) has a Digital Media Production program that will turn you into a professional animator in no time. You’ll graduate with the ability to create and produce digital media for a number of communication and entertainment fields. Almost all of the digital media production and animation courses are led by instructors with professional experience, This means you’ll be taught by people who actually know the ins and outs of their respective fields. Screenwriting, Video Production, Advanced Digital Imaging, Interface Design, Advanced Audio Production, Video Editing, Motion Graphics, Media Production, and Media Distribution. Graduates of this program will leave with the skills and knowledge needed to pursue a career in not just animation but also video editing, motion graphics, screenwriting, and digital audio and video production. A Bachelor of Fine Arts in Game Production is also available at the X with a comprehensive training program. 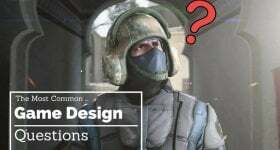 Course topics relevant to an aspiring animator include Game Animation, World Building, Level Design, and Modeling, Digital Imaging, and Texture and Lighting. Manatee Technical College in Bradenton offers an MTC Certification of Completion in 3-D Animation Technology. This 10-month program will prepare you for a career in a variety of fields, including film production, graphic design, video games, and of course, 3D animation. 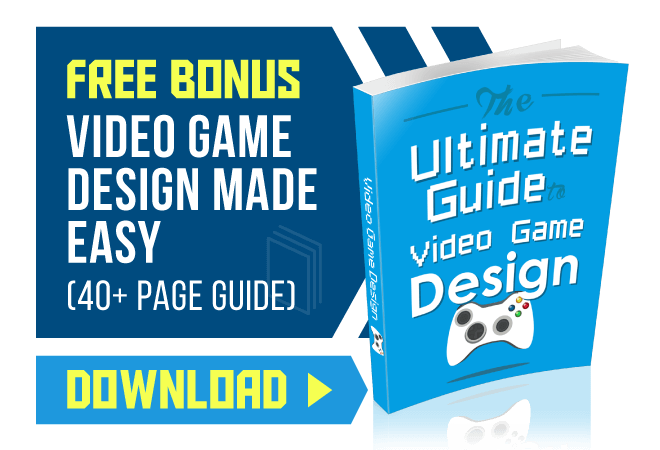 You’ll become familiar with creating your own models, textures, movement, and animation while using industry-standard software and computers. There is also an emphasis on on video editing and audio, allowing you to enter any entertainment industry as a modeler, texture artist, rigger, animator, motion capture technical, or production assistant. At the end of the program you’ll have a robust online portfolio that will allow you to showcase your work to potential employers. Orlando Tech’s 3D Animation Technology program will allow you to break into the simulation and digital media industry in a number of positions. They include rigger, motion capture technician, texture artist, animator production assistant, and more. There is a strong emphasis on creating 3D animations that are realistic and capable of telling a story. Course topics you can expect are 3D animation design, 3D animation production, story development, character modeling, environmental modeling, project management, and texture creation. You’ll also have the opportunity to take an Adobe Certified Associate (Photoshop) exam and/or an Adobe Systems certification exam. Ringling College of Art and Design in Sarasota is home to arguably one of the best animation programs in the state. Their Bachelor of Fine Arts in Computer Animation will help you become fully capable of creating characters and telling stories through the use of animation. You’ll also learn how to paint, texture, light, design, model, animate, composite, and edit your own films. The strength of this program is its focus on helping students cultivate and enhance their ability to use both their technical skills and creativity to create animations that are emotionally moving and enjoyable. You can also expect many team-based projects with deadlines and milestones so that you’re given a taste of what it’s like to work at an actual animation studio. Stetson University is one of the top animation schools in Florida with four college campuses found throughout Central Florida. Both their Minor and Major degrees in Digital Arts are available to turn you into a skilled 3D animator with experience in music production, image manipulation, video, and other interactive media. You will have the option of three different tracks (computer science, art, and sound) while also being encouraged to consider a second major that complements the Digital Arts program The most popular ones are Art, English, Psychology, Computer Science, Music, and Sociology. The strength of this program is its strong emphasis on pushing students to experiment in order to find creative ways of using computers as expressive tools. You also get to showcase your video projects at the annual Festival of the Moving Image and senior thesis exhibition. The University of Tampa has an excellent Bachelor of Fine Arts in animation program that offers training and experience in both traditional studio instruction as well as computer technology. Students can expect to develop their creativity, drawing potential, visualization skills, and design ability throughout the course of the program. You’ll have the opportunity to take classes that cover a wide range of courses. These include computer graphics, 2D animation, 3D animation creative coding, web programming, online production, application development, interactive media, multimedia, physical computing, and installation. As a graduate of this program you’ll be ready to break into a number of industries as a 2D/3D animator, online producer, video producer, 3D modeler, 3D texture, and special effects developer. Rasmussen College Florida is actually a system of schools located across Minnesota, North Dakota, Kansas, Illinois, Wisconsin, and Florida. Their Ocala, Florida campus offers both an Associate’s and Bachelor’s degree in Graphic Design that has helped countless students prepare themselves for a number of careers. You can expect hands-on courses that cover a wide range of topics in animation, motion graphics, web design, digital design, and more. Two tracks, Animation and Motion Graphics, help you refine your skills and creativity in the area of your choice. You’ll also have a choice of two ways to showcase what you’ve learned throughout the program. This is done by either going through a final design project course or internship course. Note that the Associate’s Degree can be completed in 18 months while the Bachelor’s degree requires at least 36 months. Southern Technical College in Orlando offers an Associate’s Degree in Digital Design that’s perfect for aspiring animators and artists looking to land a job as a graphic designer, printing worker, desktop publisher, and more. Course curriculum places a strong focus on sharpening your ability to think critically like using perception, inventiveness, and interpretation to create high-quality digital content. Throughout the program you’ll get hands-on experience with the same software applications used by the top companies today. One of them is Adobe Creative Suit 5 which comes with Dreamweaver, Illustrator, Flash, InDesign, and Photoshop. You’ll be tested with challenging design problems made to improve your skills and abilities as a digital designer. American InterContinental University in Weston as a Media Production degree program that’s perfect if you want a broad understanding of media production and its related fields, including music, video, motion pictures, and television. Through team-based projects that require producing your own media with the latest technology, you’ll receive real-world experience that will help you thrive no matter where you apply fresh out of college. Ridge Career Center in Winter Haven makes available a number of day, evening, and online programs designed to prepare people for a career in a number of fields. A Digital Design program is available that may be of interest to any aspiring animators or digital artists.